Two University of Canterbury academics have won New Zealand tertiary teaching excellence honours in a ceremony at Parliament last night. Dean of Law Professor Ursula Cheer and Associate Professor Ben Kennedy of the Department of Geological Sciences both received Sustained Excellence awards from Ako Aotearoa National Centre for Tertiary Teaching Excellence. Associate Professor Ben Kennedy, Geological Sciences, receives his Sustained Excellence award from Tertiary Education Minister Paul Goldsmith. UC Dean of Law Professor Ursula Cheer has received a Sustained Excellence award from Ako Aotearoa National Centre for Tertiary Teaching Excellence. Two University of Canterbury academics have won New Zealand tertiary teaching excellence honours in a ceremony at Parliament last night. The University of Canterbury’s Dean of Law Professor Ursula Cheer and Associate Professor Ben Kennedy of the Department of Geological Sciences both received Sustained Excellence awards from Ako Aotearoa National Centre for Tertiary Teaching Excellence. Presented by the Tertiary Education, Skills and Employment Minister Paul Goldsmith, 12 Sustained Excellence awards were presented, including two under the Kaupapa Māori category. All Sustained Excellence winners receive $20,000. Widely acclaimed law expert Professor Ursula Cheer never planned to become a teacher. “How odd that it was never in my plans to become a teacher! Because now it is so much of what I am,” she says. After earning her law degree (LLB Hons) from the University of Canterbury, she went into law practice and then the civil service, where she was a speechwriter for the Minister of Justice and a legal adviser to the Prime Minister. This led her to complete a Master’s in Law at the University of Cambridge, England, and to become a lawyer in the UK Lord Chancellor’s Law Commission, working on law reform projects. Sick of the weather and ready to return home, she took up an appointment as a law lecturer at the University of Canterbury (UC) in 1996 and, 21 years later, is the Dean of Law. In this role, she also mentors and supports other members of staff and co-chairs the faculty’s Learning and Teaching Committee. She leads empirical research on law teaching and has co-led a longitudinal study of student aspirations, expectations, and satisfaction in their law degree. Prof Cheer co-leads, motivates and mentors a team in the Law School Socio-Legal Research group that is focused on teaching. After winning the UC Teaching Medal in 2015, she made a video blog for the UC website in which she discussed her teaching philosophy. Prof Cheer took her real-world experience of law and politics and well-honed communication skills into teaching, with the aim of making the law real for her students. But, as the law school had no formal approach to teaching when she joined the staff, she soon realised she was being a “somnambulist teacher” and her students had been learning in the same way. She resolved to rectify this. She began to read and write about teaching both on her own and as part of a Law School teaching research group and drove her students to become involved with the sorts of activities and conditions likely to generate high-quality and deeper learning. Prof Cheer believes in treating her students like adults, respecting them and asking that they respect and help each other. One of the innovative activities Prof Cheer has developed is ‘Media Madness’, a real-time breaking-news simulation exercise, where law students work with senior journalism students as their clients, advising them on a breaking story, where the facts are based on a real news event. She also actively engages the students by getting them to run things, such as researching and presenting biographical introductions for guest speakers, thanking them and presenting them with provided gifts. Students are also randomly chosen to run Grand Debate and case study discussion sessions. Prof Cheer runs a Haiku competition online on a voluntary basis and organises a ‘Pub Quiz’ as a revision and motivation exercise. Another exercise, a filmed newsdesk presentation, develops students’ oral skills. To engage students and make classes more active and inclusive, Prof Cheer uses real case studies to break up and illustrate lectures, online quizzes for revision and class question-and-answer sessions. In large classes, she makes use of the ‘talkshow host’ approach. This involves roaming the entire lecture space among the students, deliberately breaking down barriers. She makes it a challenge to reach the ‘silent scribblers’, helping them to get more out of their learning and realise their potential. Associate Professor Ben Kennedy’s “insatiable enthusiasm for volcanoes” and his outgoing personality led him into geology teaching and academia. laureate and world-leading science education researcher at the University of British Columbia, Canada. Assoc Prof Kennedy became a strong believer in research and data-driven teaching practices. Back in New Zealand, he was commissioned to apply Wieman’s principles in New Zealand. The resultant Transforming Tertiary Education project, which is unique in New Zealand and emulates what Wieman has done in Canada and the United States, involved course transformation in several geology classes, many members of the University of Canterbury Geology Department and several members of Biological Sciences at Massey University. His group is the leading Geoscience Education Research group in New Zealand and contributes to the research literature. 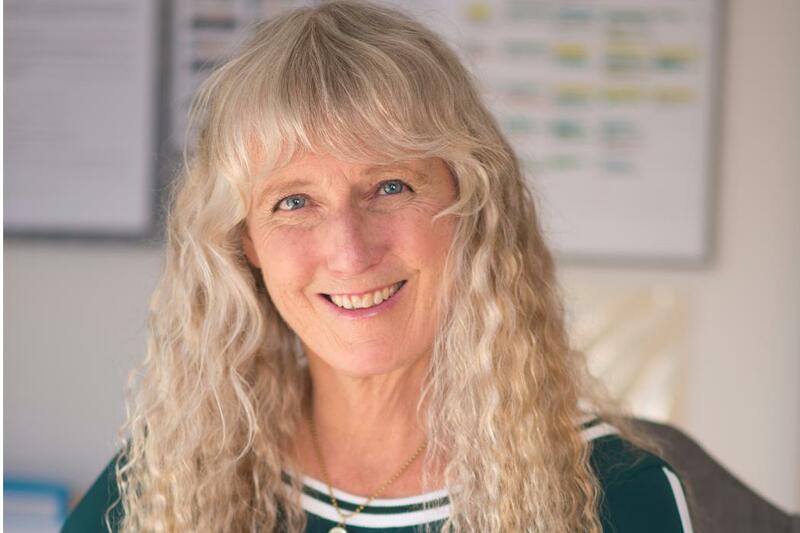 Assoc Prof Kennedy has spent the past seven years at University of Canterbury working with colleagues and students to develop a methodology that is student-centred, experiential, highly structured, informed, and constantly updated. Assoc Prof Kennedy believes that science education is undergoing a global revolution against the traditionally passive learning style of lectures and he wants to help lead this revolution. Although he is very serious when it comes to teaching, he also has a sense of humour when it comes to explaining ideas and processes. This fun environment encourages an informal classroom atmosphere and facilitates peer learning. He acknowledges that some aspects of geology teaching occur in challenging conditions outside the classroom, which often exaggerates differences in student motivation and necessitates instilling a sense of adventure in students and prioritising their well-being. Assoc Prof Kennedy updates his lectures and labs by integrating recent volcanological and educational research into the learning design. Students are motivated by his excitement surrounding new scientific discoveries, as he brings examples from his own fieldwork or laboratory experiments into the classroom. Research into teaching design has become an integral part of his teaching development and some of his international undergraduate students have presented these outcomes at international conferences. Assoc Prof Kennedy has been invited numerous times to present his teaching approach around the university, the country, and internationally and, in 2016, he won a UC Teaching Excellence Award. He also helps educate the wider public on the subject of volcanoes. He has taught guest classes at pre-schools and primary schools across Christchurch.